Tony® award winning Broadway musical “Falsettos” takes the stage at Winspear Opera House Feb. 12-17. AT&T Performing Arts Center presents the Lincoln Center Theater Production. William Finn and James Lapine’s groundbreaking musical returned to Broadway in 2017, and was nominated for five Tony® awards including Best Revival of a Musical. 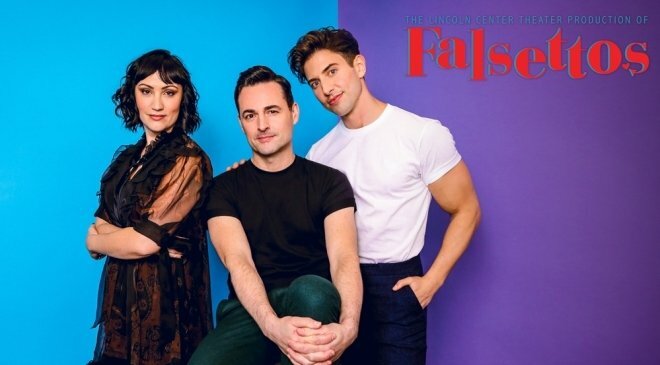 Broadway luminaries Eden Espinoza (Elphaba in “Wicked”); Max von Essen (“An American in Paris”), and Nick Adams (“Priscilla”) star in the three central roles. Ticket prices start at $25, available online at attpac.org. North Texas fans of Broadway musicals were excited to hear of a new partnership between AT&T Performing Arts Center and Dallas Summer Musicals. Beginning with the 2019/2020 season, the Margot and Bill Winspear Opera House will be available to DSM for up to four weeks a year. This will provide additional premier performance space in Dallas for touring productions of the finest shows from Broadway. Both organizations will program their own Broadway seasons, but the partnership will allow DSM to now present shows in the Winspear Opera House as part of its season subscription, or as add-ons. Winspear Opera House, located on the AT&T PAC campus in the Dallas Arts District, seats 2,200, and has been the home for the Center’s Broadway Series since its 2009 opening. The historic Music Hall at Fair Park, which seats 3,400, has been the home of Dallas Summer Musicals since 1951. For more information about AT&T PAC, visit attpac.org. For information about DSM, visit dallassummermusicals.org.